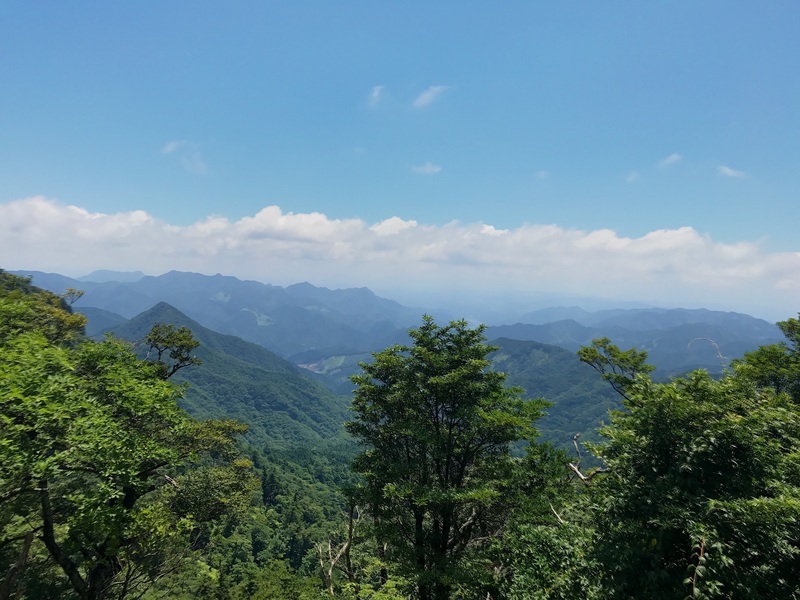 Located on the border between Fukuoka and Oita Prefectures the Hiko Mountain is truly a sight to behold. 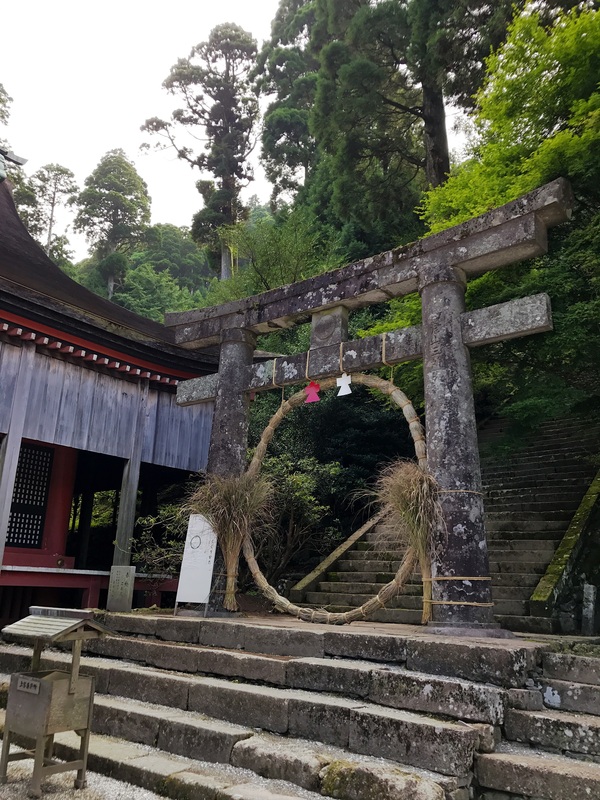 Halfway up the mountain you will find the Hiko-san jingu . 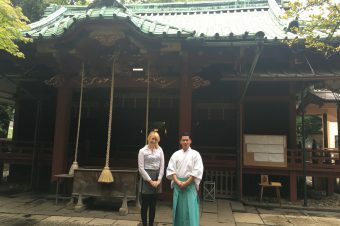 Hikosan jingu is best known as a center of training for the Shugen-do sect of Buddhism. 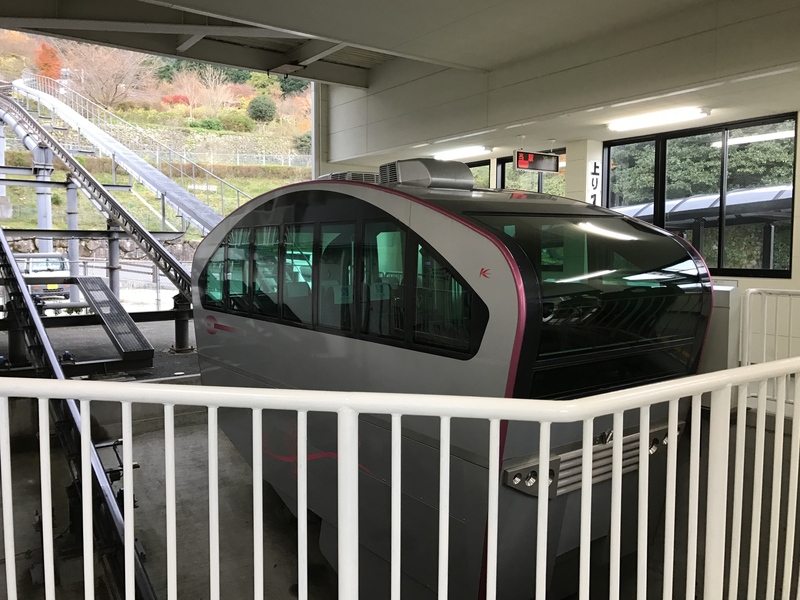 When we arrived at the foot of Mount Hiko our journey began at the slope car station. 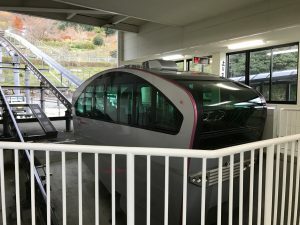 Although when we visited the mountain the car was out of order due to the heavy rains that occurred earlier in the month (make sure to check their website to find out it its running). 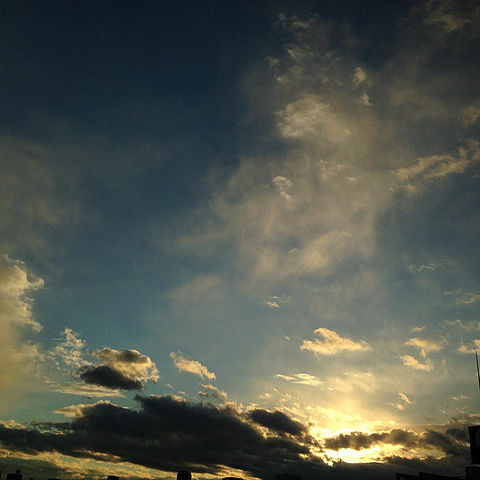 I still feel like this is the perfect spot to begin your journey up the mountain. Inside of the building that houses the slope cars you can find two floors. The first floor contains a small gift shop to get any little snacks or items you might need before heading up the mountain (if this is a weekday this will be your last stop to purchase food). 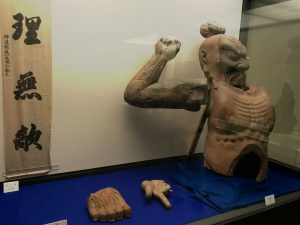 While the second floor contains a large room consisting of multiple artifacts that have been found throughout the mountain throughout its history. Inside this exhibit is some pretty incredible stuff ranging from wall scrolls, religious artifacts and even pieces of the Kami statue that is believed to originally have stood outside of the shrine. Once we finished exploring the exhibit we then began our journey up this incredible mountain. 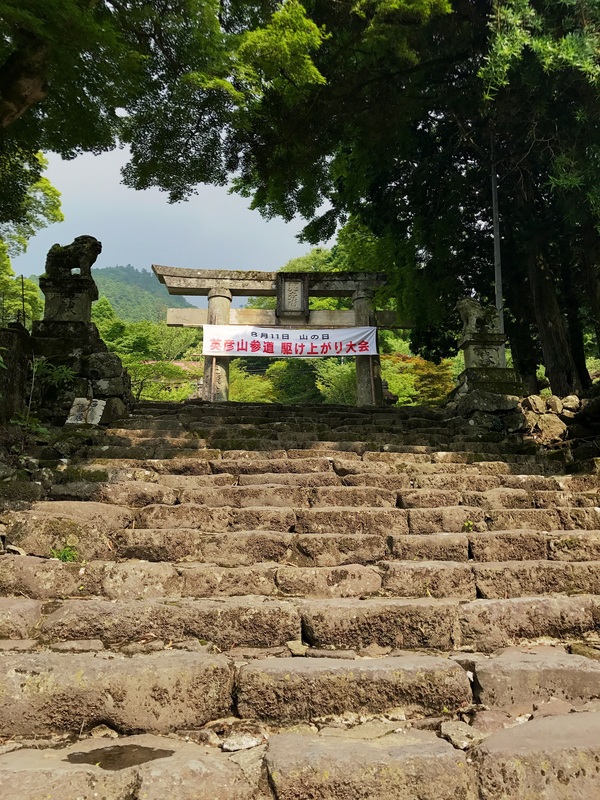 For those of you that dont know the Mount Hiko stands at 1,200 meters tall (thats 3937 feet for those of you reading in America) so to say the least climbing this is no simple task. 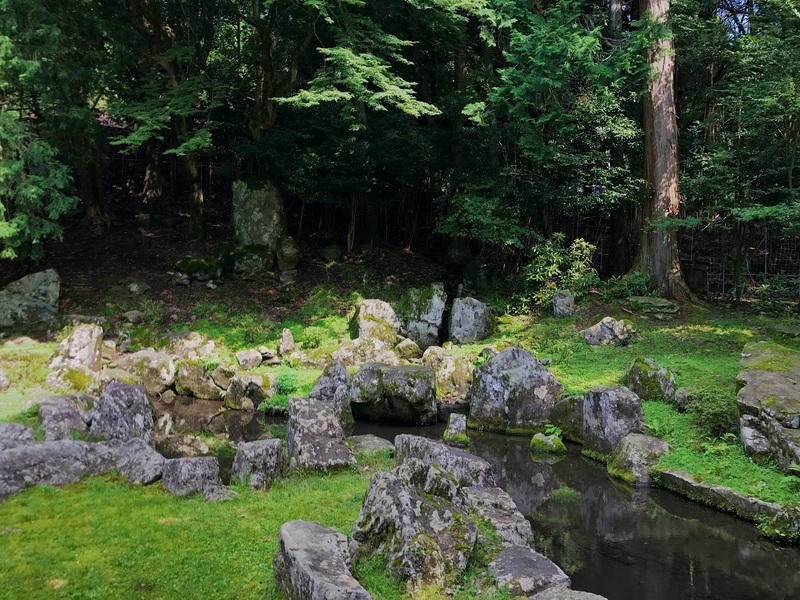 Luckily Hikosan Jingu is only about one third of a way up the mountain. From the cable car station to the shrine its around a 45 minute walk featuring multiple sets of stairs. 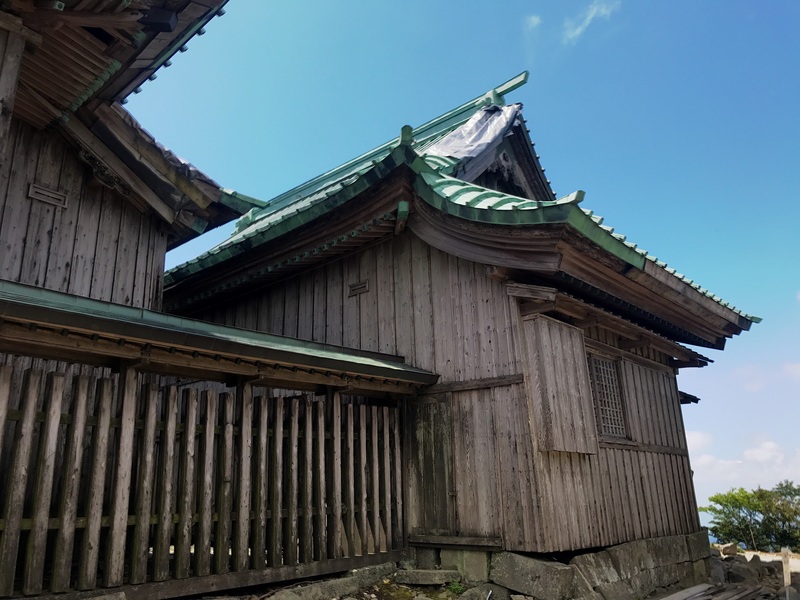 Before i go any further I would be amiss if i didn’t mention the fact that although you may see some shops on your way to the shrine these are only open on the weekend, if you are planning to climb to the summit make sure you stock up! 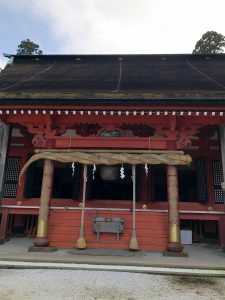 As you begin your journey up to the shrine you’ll notice about 5 or 6 empty houses. Back in the day the mountain used to be a popular place to live but over time the houses were destroyed by floods and fires causing the majority of people to move away. Other notable things you will find along are some incredible ponds and large building that houses even more of the amazing artifacts that have been found throughout the mountain! 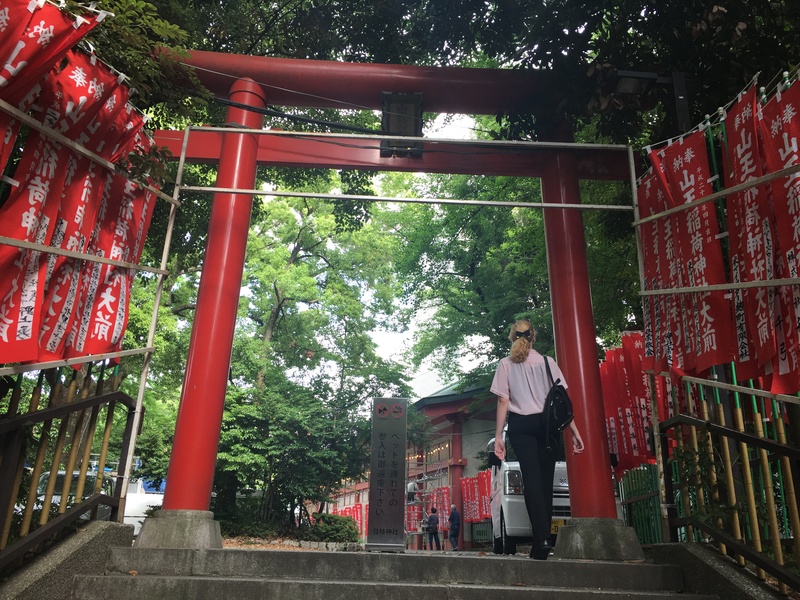 Once we were done exploring all the smaller stops along the way we were finally able to explore the shrine. 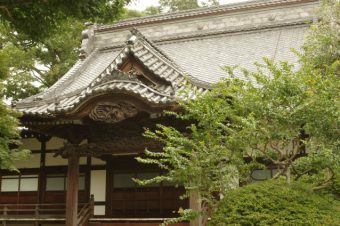 The worship sanctuary at Hikosan Jingu Shrine was originally a large lecture hall at Reisenji Temple. Since then the hall has taken a life of its own and is now a Government-Designated Important Cultural Asset. 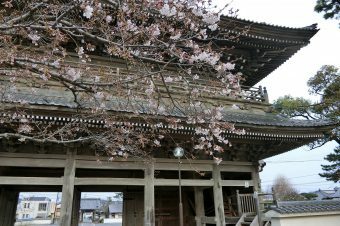 Originally built in 740, the current structure was rebuilt in the early Edo Era (1616) using a donation made by the feudal lord of the Kokura domain at the time, Hosokawa Tadaoki. 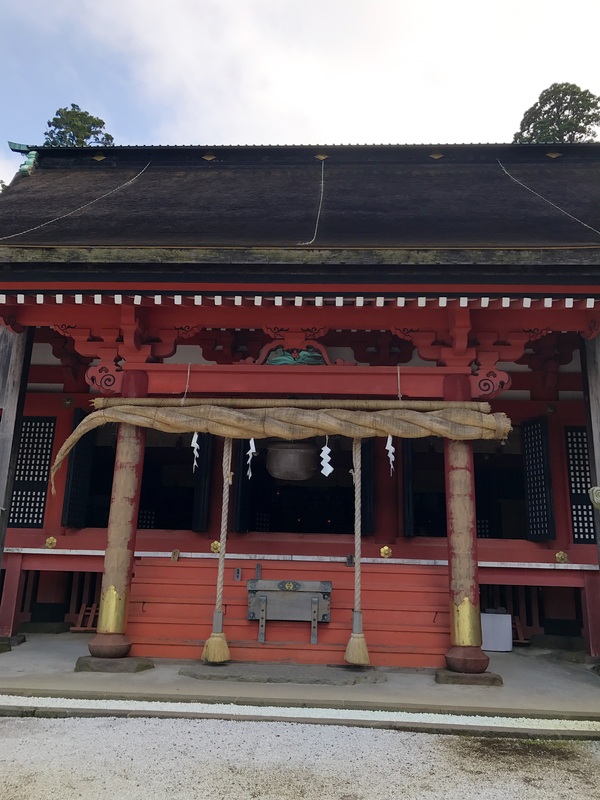 Although the shrine employs an ancient form of Japanese construction, it includes Chinese patterns in places, and the magnificence of its large dimensions and scale along with its subtle attention to detail helps make this temple seem much bigger then it actually is. Along with the worship hall the shrine also has a small gift shop where you can purchase charms. This is the first stop on the way to summit and it is also the last place where you can purchase water. Before you begin your journey I highly recommend that you stop by the shop and ask for a map. Although the trail does have a few maps along the way we found it hard to find one when we really needed it. The trail to the top is only 1.9km and although this may sound like a short and easy hike, i would say about 1.7km are all up hill. 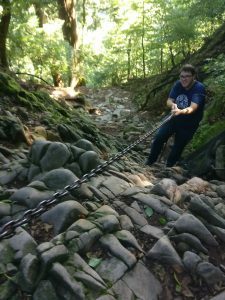 The path up contains multiple sets of stairs, rocks that kind of look like stairs and at 2 points on the journey you will have to propel yourself up using a chain. 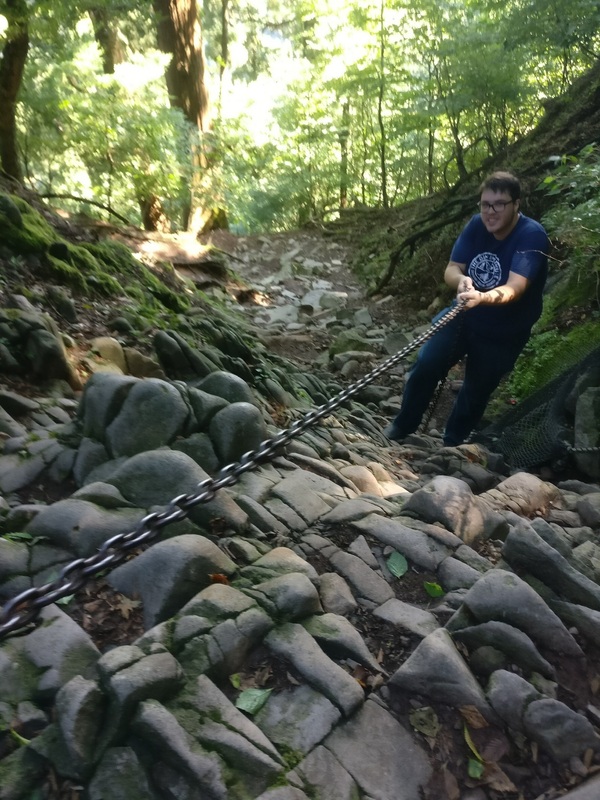 Now i`m definitely not a hiking expert but this felt a little unorthodox to me, that being said I felt pretty awesome using it to climb up (i cant say the same for climbing down). Along the way to the Summit the trail not only offers incredible views of the surrounding mountains but it also features smaller shrines that are definitely worth a stop. 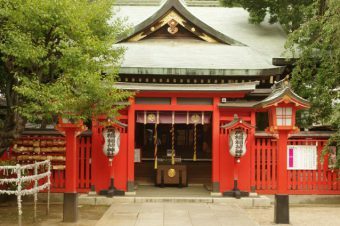 Once you finally make it to the summit you’re greeted by a large building known simply as the Hikosan Jingu upper shrine. 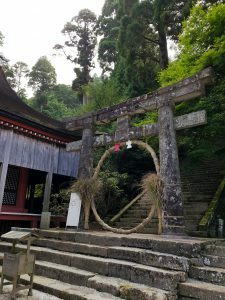 Unfortunately I found the shrine as underwhelming as its name. 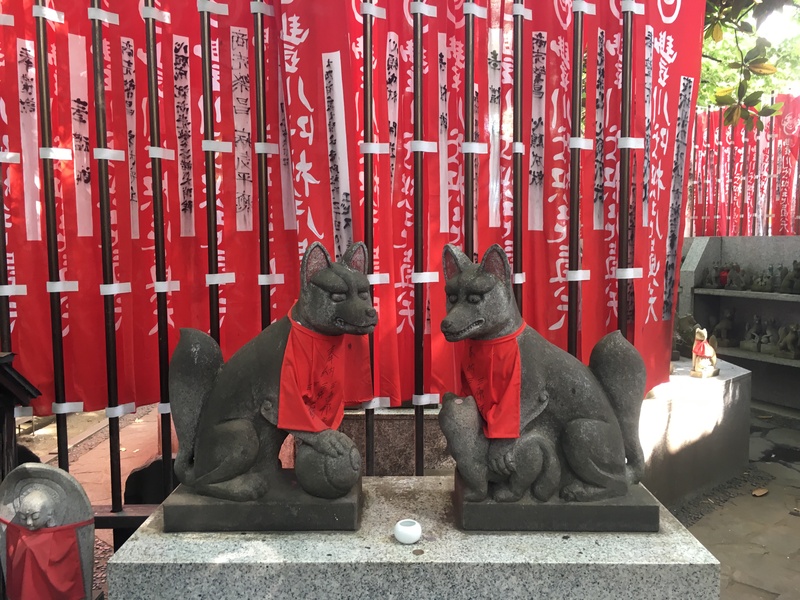 The shrine is much older and it seems like there is a lot of history there, however there are no signs sharing this history and i found that to be a bit of a letdown. However the summit also does offer an incredible view and a nice little area to sit and just take it all in. Although the upper shrine may be a bit of a disappointment the entire experience is truly a memorable one and personally I believe that the view alone truly makes the trek to the summit worth it!